The international renowned expert on tree stabilisation, Dr. Lothar Wessolly, who holds the EU patent 0623277 for tree stabilisation, is the founder of Boa Tree Cabling Systems and any kind of very dynamic bracing systems. 4 ton kit suitable for up to 5 cablings. 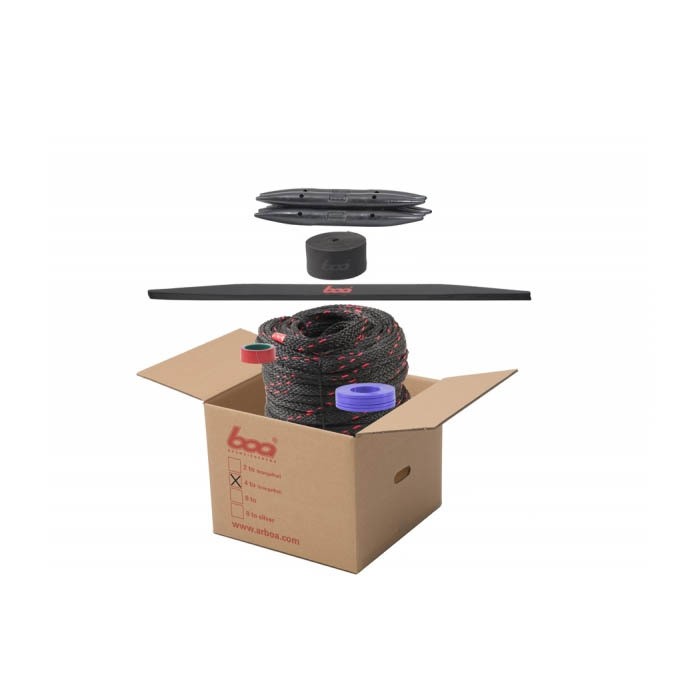 BOA 4 tons complete kit consisting of: 50m (164') of BOA Rope, 5 Shock Absorbers, 12m (39') of Anti-Abrasion Hose, 10 Expansion Inserts, 5 colour nylon washer to identify the year of the installation and one roll of adhesive P.V.C. tape.